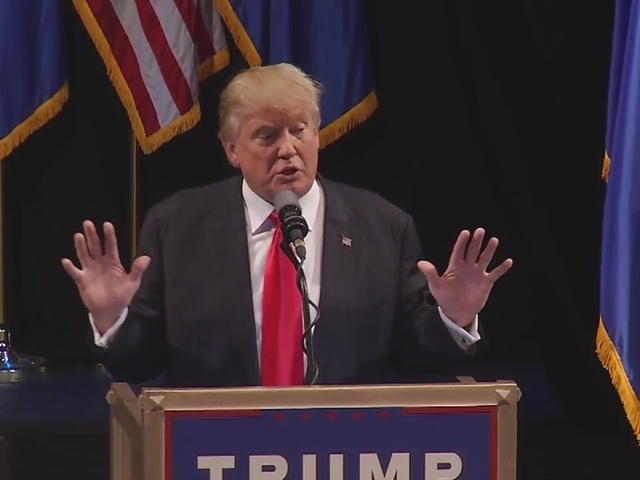 Donald Trump spoke for more than an hour before leaving to the tune of "Viva Las Vegas." 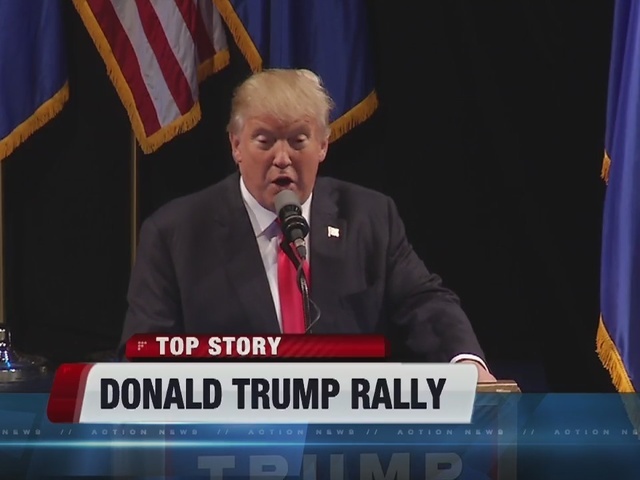 Donald Trump held a campaign rally at the Mystere Theatre at Treasure Island hotel-casino Saturday morning. The Republican presidential candidate took the stage at 11:30 a.m. The rally started about a half hour off schedule as people waited outside the theater to get in. Gilley's was used as an overflow venue. The Las Vegas Metropolitan Police Department said there will 1,500 people in attendance. The presumptive Republican presidential nominee went on the offensive against Democratic candidate Hillary Clinton. "I am statistically even with crooked Hillary, and she is crooked folks," Trump said. "She doesn't have the integrity to be president." Trump had some harsh words for the Republican Party, vaguely referencing efforts to stop him from becoming the party's nominee. "Now you have a couple of guys that were badly defeated and they are trying to organize maybe like a little bit of a delegate revolt," Trump said. Trump also took on President Barack Obama, when it comes to the Orlando terrorist attack, saying the president is weak. "This is just the beginning unless we get smart and tough and vigilant," Trump said. Adding the answer isn't to take away guns, but to get tougher on immigration. “We are going to start winning again. We are going to have strong borders," he said. "We are going to have the wall. We are going to be respected again. We are going to win with our military. We are going to knock the hell out of ISIS." Trump spoke for more than an hour before leaving to the tune of "Viva Las Vegas." Mr. Las Vegas Wayne Newton was among the attendees and was seated in the front row. At least two people were removed from the rally. Las Vegas police said one person was arrested. Police said while inside the theater, a man, later identified as 19-year-old Michael Sandford, approached a uniformed LVMPD officer who was assigned to the event. Sandford began a conversation with the officer under the pretense that he was seeking an autograph. During the conversation, Sandford attempted to disarm the officer. The officers assigned to the event were able to quickly take Sandford into custody with little further disruption at the venue. Custody of Sandford has since been handed over to the United States Secret Service where he will face formal charges. Outside on the Strip, a few protests against Trump were held. An environmental advocacy group chanted, "Dump the Trump!" and waved signs at cars passing on Las Vegas Boulevard. At one point, a spontaneous debate broke out between strangers on the merits of Trump versus Hillary Clinton. Police officers eventually cleared the sidewalk to make way for pedestrians. The Nevada Democratic Party released a statement following Trump's speech. “Donald Trump is a serial liar and con artist who has no business sitting in the Oval Office, and that reality was on full display in his bloviating and incoherent speech today.